We have the BEST clients here at Karson Butler Events. They are kind, creative, smart, ambitious and some of the coolest people we know. We have been chatting about getting everyone together for a while now, and a pre-Thanksgiving gathering seemed like the perfect time to let everyone know just how grateful we are for their business, but more importantly, their friendship. 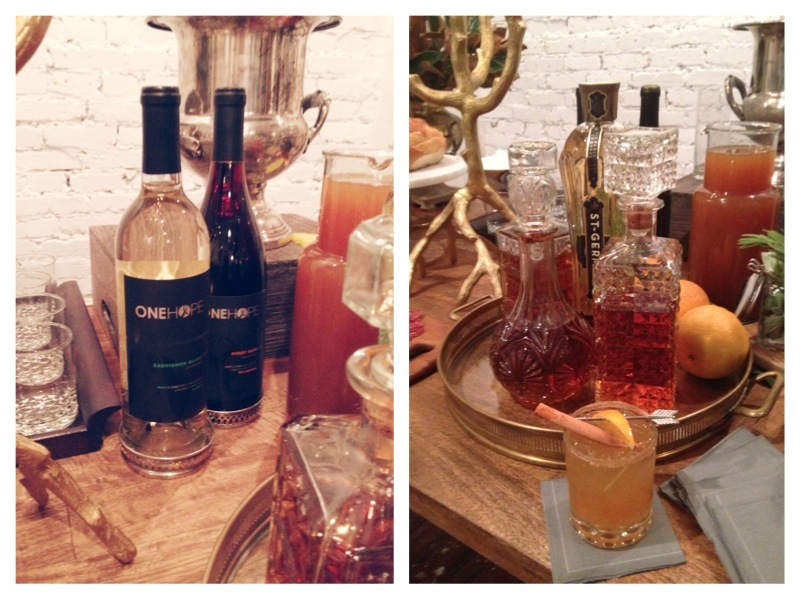 So last week we invited our past and existing clients over to the design studio for a little fall mix and mingle. 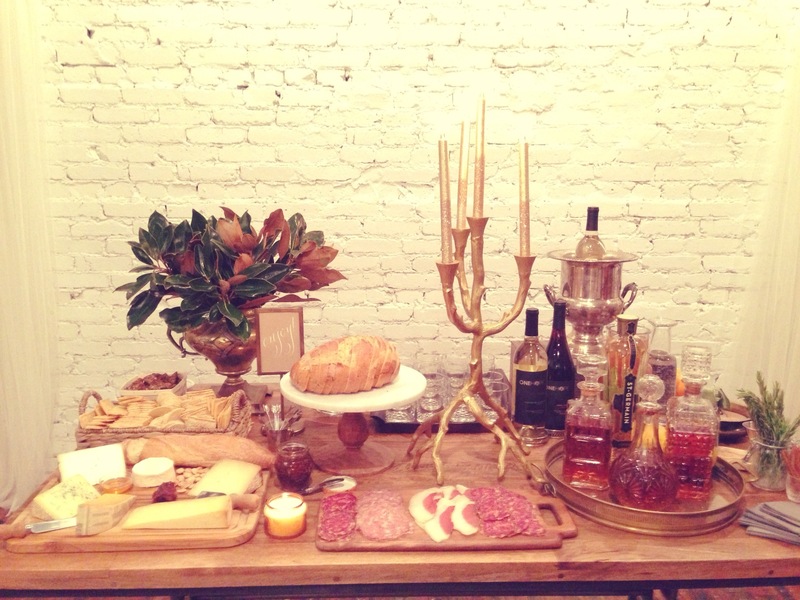 Our back studio table served as our gathering table with snacks & spirits! 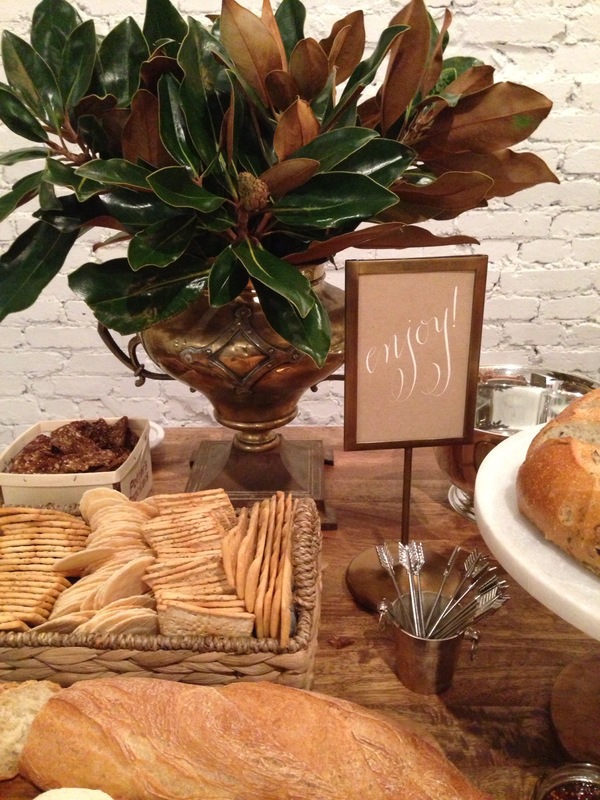 We loved pulling serving pieces from our own homes to use for styling the table. The gold branch candleabra and glitter candles are a recent find! Amber whipped together this centerpiece earlier in the day using magnolia branches clipped from the trees in her yard. Don't they look fabulous in that brass trophy (a One Kings Lane find from Matthew Robbins tastemaker tag sale.) So simple. Our drink selections for the evening included One Hope Wines. If you are not familiar with One Hope, please check out their website! They are a great company doing wonderful things for a variety of causes. We chose to serve the Sauvignon Blanc & Pinot Noir for this party. Through a partnership with American Forests, every bottle of Sauvignon Blanc plants a tree and helps to protect our forests and ensure these resources flourish for generations to come. The Pinot Noir supports Pet Adoption, a cause so near and dear to our hearts. Half of the profits of each bottle are donated to the ASPCA. We're happy to report that the wines we purchased for this event helped to plant a dozen trees and allowed one pet to find a loving home! We love that One Hope has a program, One Hope Weddings, designs specifically for couples wanting to give back on their wedding day. 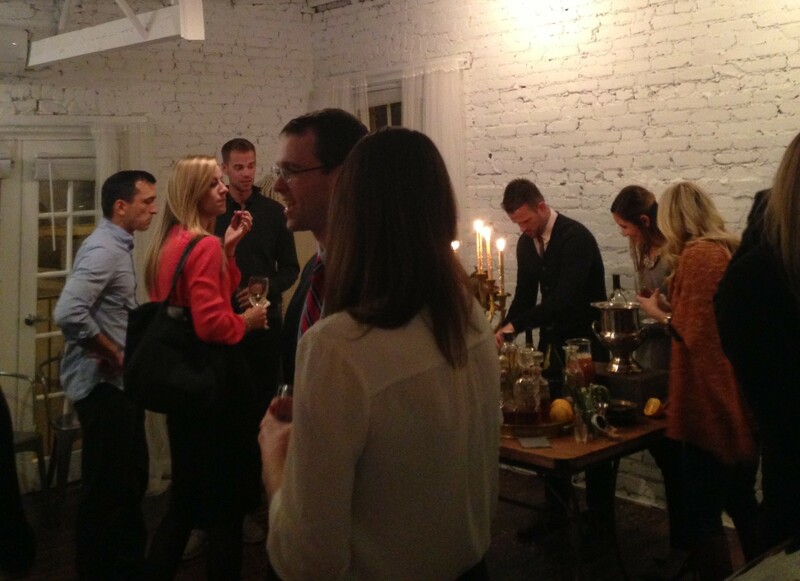 Wine + a good cause = a definite win win in our book! For our spirit station, we had a tasty apple cider cocktail with various mixers. Our favorite variation includes apple cider, St. Germaine, bourbon or rum, and soda water! With a cinnamon sugar rim and garnished with a orange, this is an easy and perfect holiday cocktail! How amazing are Emily's vintage decanters and tray? She picked those up in California earlier this month at a vintage pop-up shop our best friend's mom runs. So amazing, right? Oh, and the cute pitchers and cocktail napkins are from one of our favorite stores Salt & Sundry. Our snack menu included a few of our favorites from Union Market. The amazing team at Righteous Cheese helped me pick out a wonderful collection of cheeses & accouterments from around the world. 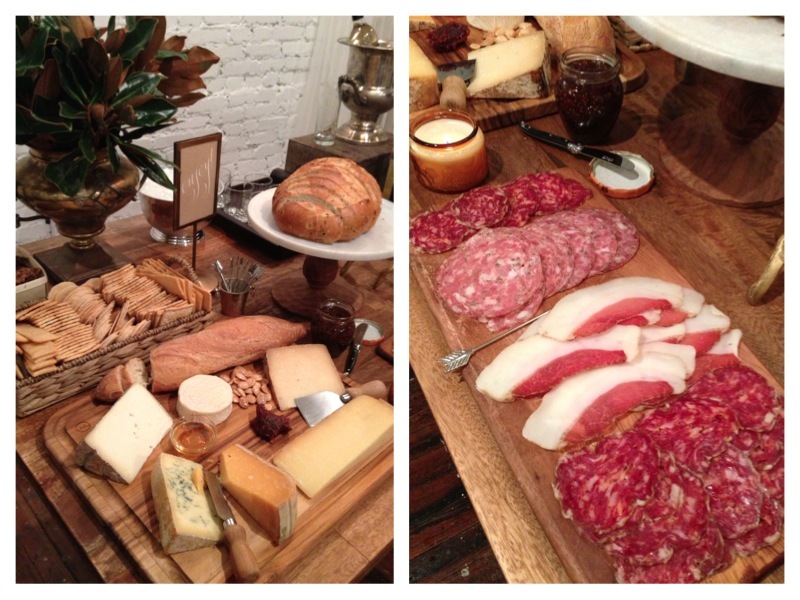 They paired perfectly with cured meats from Red Apron, our favorite butcher. Yum! Michele from Meant to Be Calligraphy was on hand to treat our clients with live note card calligraphy as a favor. Our clients loved meeting Michele & seeing her fabulous craft happen before their eyes. 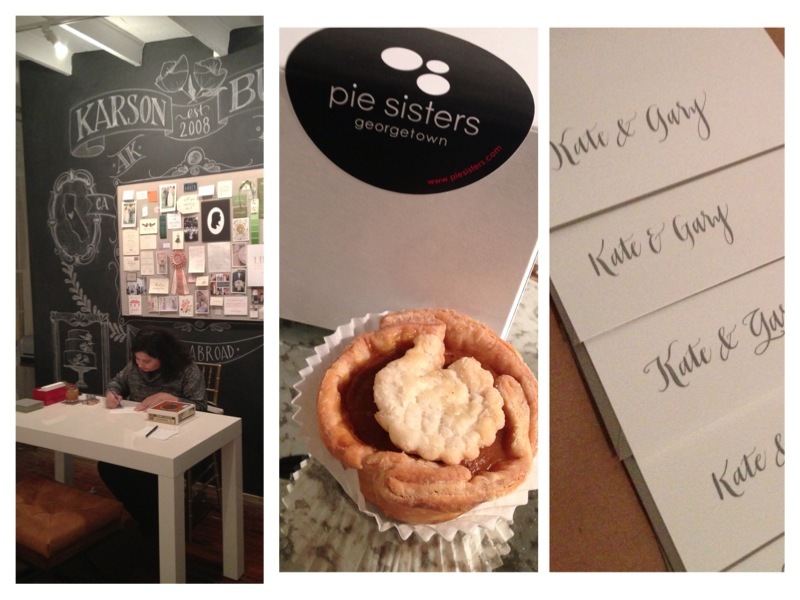 In addition to the custom notecards, we sent everyone home with mini pumpkin pie from Pie Sisters. We can't help it, we're a sucker for sister-run businesses! Again, huge thanks to our clients past and present who took time our of their busy schedules to stop by. And to all clients, THANK YOU for your belief in Karson Butler Events. Your friendship means the world to us! Oh My God, this event was perfect!!!! I just wish i could have been there!! Bravo girls!!! Thank you Sofia! Wish you could have been there too!